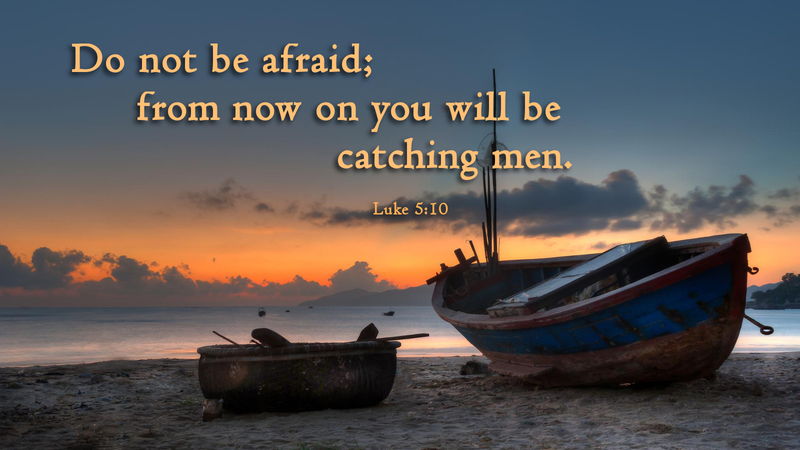 Today we hear Luke’s story of the call of Peter and the miraculous catch of fish. As the story goes, Jesus is playing to a sold out audience, so much so that he is forced to retreat to the shore and out unto Peter’s boat. Jesus asks Peter to put out to deeper water and Peter does not want to. “We have worked hard all day and have caught nothing…” Jesus insists and the fishermen catch so many fish, their nets are in danger of tearing. Jesus wants Peter to do something that he knows is good and beneficial for Peter, but either Peter is too tired or simply doesn’t think it will make much difference. Even though Peter is tired and skeptical he does what Jesus asks anyway and is blessed to his amazement. How often does God ask us to do something and we don’t want to. Perhaps we are too tired or don’t care that Jesus can help us. Perhaps we think “thanks anyway, but we’re good.” Perhaps we doubt that what God asks is really worth while or whether God even understands me, my problem or my situation. Perhaps for either of these reasons, we choose not to do what Jesus asks and simply sit there in the boat. “Who cares? What difference does it make?” With an attitude such as this, we will never benefit nor witness the saving power of Christ, his immense love for us and his desire to provide for us. We are just there in the boat, thinking of how pitiful, tired and bored we are. Perhaps we have felt the way Peter felt when Jesus calls us to do something that seems so ridiculous and pointless, but we do it anyway? Perhaps we have found ourselves realizing how much we have gained or how much we have been blessed by doing some pretty simple and or pointless things that Jesus ask? Perhaps we finally realize, that Jesus knows more than we do and he is not simply asking us to do simple pointless things. Hopefully we have come to realize that Jesus does not ask us to do things for no reason. The things he asks are important, vital and life-giving. When we do the things that Jesus asks, no matter how dumb or pointless they may seem, we can be amazed and richly rewarded.